Need Help Hauling Your Stuff? APPLIANCE PICK-UP: Need to donate working or nonworking major appliances? Call 727-439-1905 and mention Goodwill. 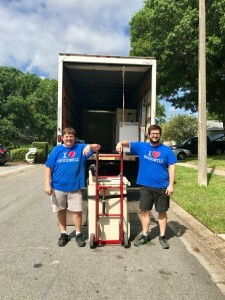 Our appliance hauling partner offers FREE pickup of major appliances in Pinellas, Hillsborough and Pasco counties. When you mention your donation is for Goodwill you will receive a Goodwill donation receipt. Remember, donations to Goodwill are tax-deductible for you! Have other large household items to donate? Click the image below for more information!